INCREDIBLE images of a one-of-kind lizard show how the species is starving to death due to unusually warm weather and the extraordinary lengths it goes to in order to ensure its survival. 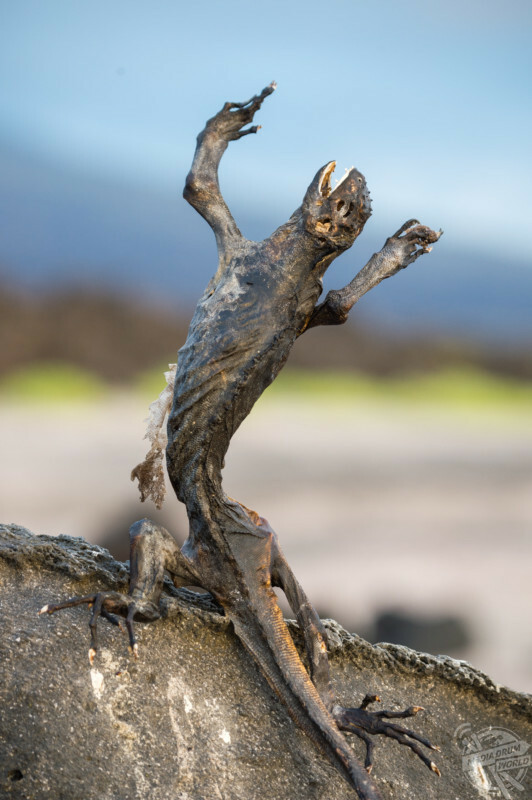 Striking photos, captured on the Galapagos Islands, shows the bizarrely twisted corpse of a fatally malnourished marine iguana reaching mournfully to the sky, a far more full-blooded and colourful iguana posing on the rocks in the hope of female attention, and the unusual spectacle of an iguana splashing through the surf. The captivating photographs were captured by renowned photographer and naturalist Tui De Roy, who grew up on the scientifically significant islands off the coast of mainland Ecuador. After watching the animals for many years, the naturalist has witnessed thousands of iguanas die due to lack of food every time there is a sustained period of warm weather. The vulnerable iguanas have one trick tucked between their scales though. The curious lizards are able to shrink and grow at will. They can lose up to 20 per cent of their size, by literally shrinking their skeleton. Over a period of months, they break down their bone tissue before building it back up again after the famine is over. 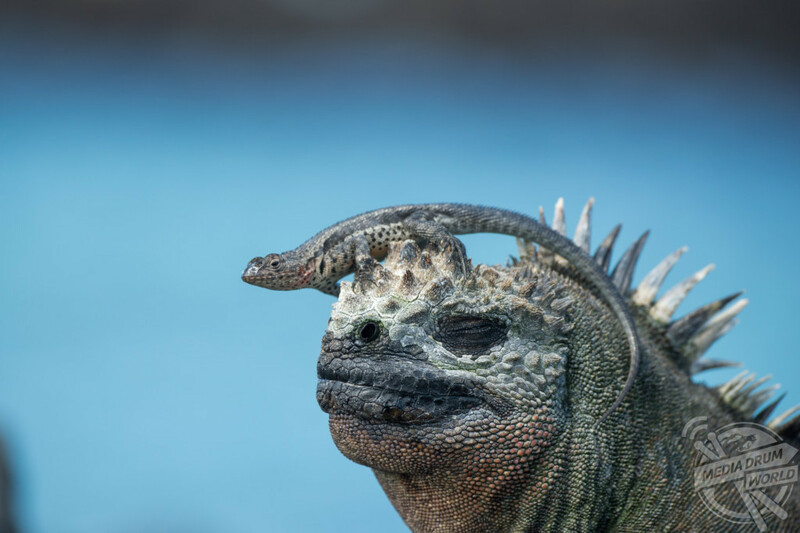 “Marine iguanas live hard lives: all they need is tropical sun to keep warm, black lava to bask on, cold seas full of seaweed to feed on; that’s it, no frills,” explained Tui De Roy. “This makes them the perfect subject to illustrate the otherworldly qualities of the volcanic Galapagos Islands. “But they are also quite vulnerable: when the cold ocean currents are replaced by warm waters, the seaweed dies, and so do the iguanas. 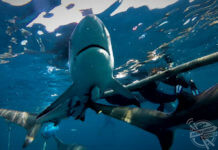 “They have the ability to shrink their bodies — even their skeleton — by as much as 20 per cent in overall length in order to resist starvation until the cold waters return. There are claims that climate change is intensifying the El Niño effect – a short-term period of warm ocean surface temperatures in the tropical Pacific, basically stretching from South America towards Australia. Natural processes are often more visible on the Galapagos Island due to its unique biosphere. It was on the stunning volcanic archipelago that Charles Darwin drew inspiration for his theory of evolution. However, he was not a fan of the marine (or ‘sea’) iguana as evidenced by the notes he wrote in the 1800s where he referred to them as “imps of darkness”, “hideous-looking”, and “most disgusting, clumsy lizards”. 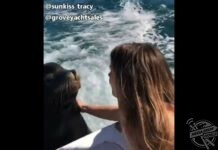 Yet he did consider them to be quite tasty when he was able to stomach the creature however. 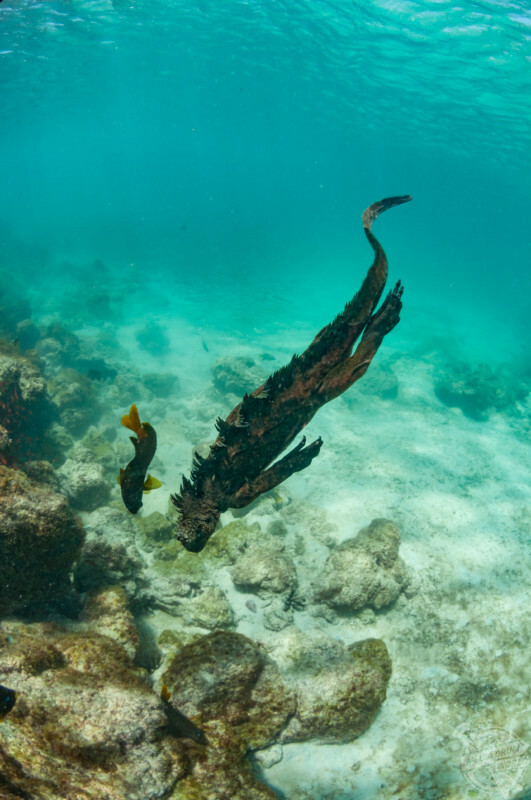 Studies about the fascinating but bizarre sea-splashing lizard believe that land-dwelling iguanas from South America must have drifted out to sea millions of years ago on logs or other debris, eventually landing on the Galapagos. From that species emerged marine iguanas, which spread to nearly all the islands of the archipelago. Each island hosts marine iguanas of unique size, shape and colour, similar to Darwin’s famed hummingbirds. 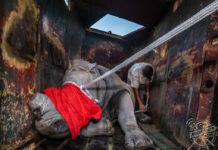 However, population figures have taken a hit this already year, with thousands of the animals starving to death. 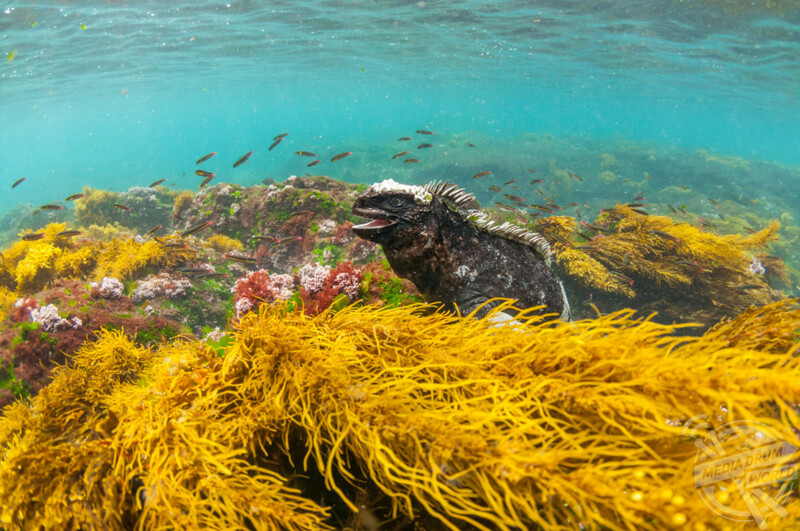 Usually marine iguanas feed on red and green algae that thrives in the shallows of the Galapagos shoreline. 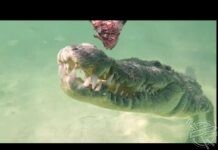 Their ability to dive down over 30 feet with crocodile-like grace and also be able to digest the algae found there has helped them to live for millions of years in the protected environment. However, during El Nino years, their usual food source suffers as warm waters prevent the algae from flourishing as usual. To save, or to at least maintain, the population of the bizarre reef-diving reptile, Tui De Roy believes we must all do our bit. 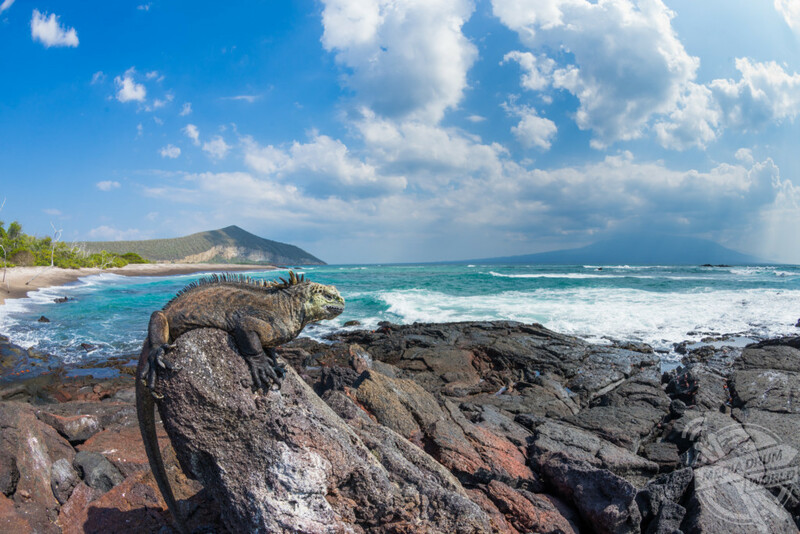 “The biggest threat by far to marine iguanas is climate change, and that’s not a problem that can be resolved at local level,” the Ecuadorian photographer said.